There is no doubt that Tottenham are missing Harry Kane from the starting XI. The Englishman picked up ankle ligament damage in the 1-0 loss to Manchester United and has seen Fernando Llorente replace him in the side. Llorente hasn’t done a poor job, however, there is no other striker in the world who is as good as Kane is. The Englishman earlier posted a video of him walking in his trainers, and the striker shared an encouraging video of him going through the paces. Kane can be seen training with the help of some resistance bands and hopefully, he returns as early as possible. The forward was expected to be out until mid-March but he came back earlier than expected when he picked up an injury last season too. Spurs play Borussia Dortmund in the round of 16 in the Champions League, and it will be interesting to see if Kane returns for the second leg. Tottenham defeated Watford in their previous game, thanks to goals from Son Heung-min and Llorente. The return of the South Korean is another positive for us but we are also without Dele Alli. The midfielder hurt his hamstring in the win over Fulham and is expected to be out until March too. 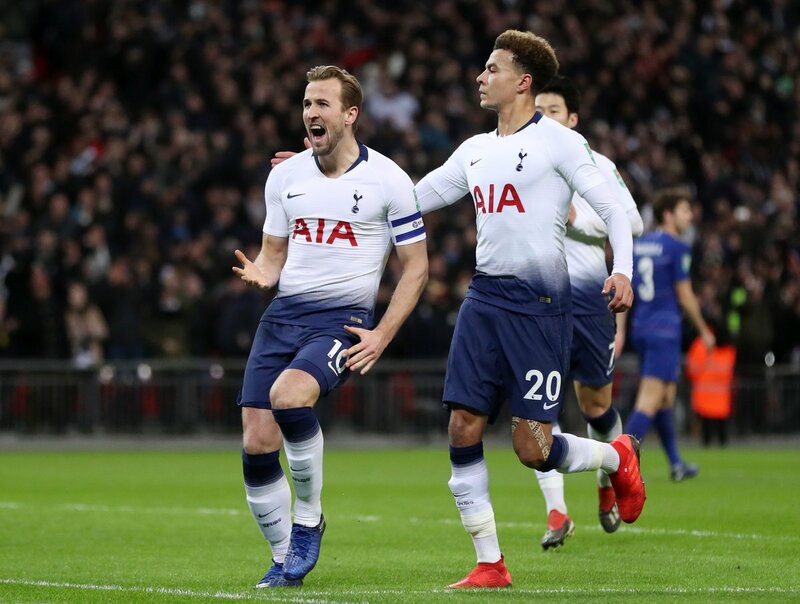 Tottenham sit just seven points behind Liverpool in the Premier League and the return of the pair could bring us back in the race for the title.